I made these cupcakes for a party at the country club I used to work at. The flavor was vanilla cake with raspberry jam filling and vanilla buttercream frosting. 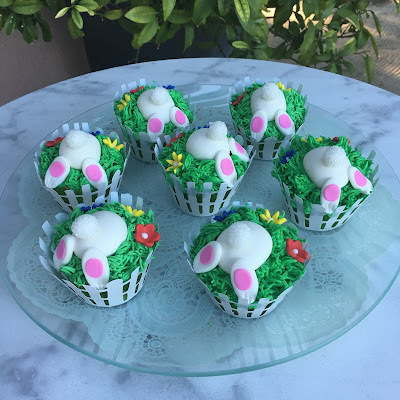 The Bunny Butts are made out of fondant as are the flowers.